Your posture is defined by how you hold your body against gravity while standing, sitting or lying down. 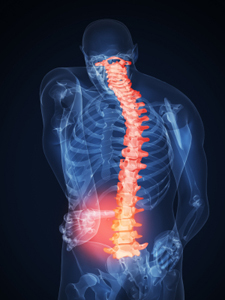 Good posture allows for pain free movement and optimal range of motion. Poor posture puts unnecessary strain on muscles and ligaments, making you more susceptible to pain and injuries over time. Posturology is an essential element of the personal training service offered here at PFIT in Montreal. As part of your initial assessment a postural exam will be conducted. 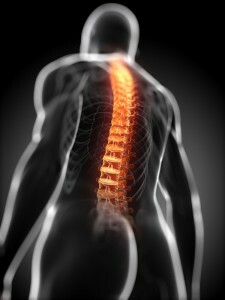 If you are suffering from pain or susceptible to injuries it is very likely caused by postural and muscular imbalances. That bad back, sore knee, twisted ankle… posture related. We can correct your posture, take away the pain and set your body in balance to prevent it from happening again. Contact us to find out how. • Keeps bones and joints in the correct alignment so that muscles are being used properly. • Helps decrease the abnormal wearing of joint surfaces that could result in arthritis. • Decreases the stress on the ligaments holding the joints of the spine together. • Prevents the spine from becoming fixed in abnormal positions. • Prevents fatigue because muscles are being used more efficiently, allowing the body to use less energy. • Prevents strain or overuse problems. • Prevents backache and muscular pain. • Contributes to a good appearance. 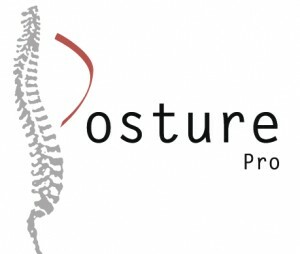 Posturology is the scientific study of posture and pain. Although not recognized as an official discipline in medicine, it is soundly based in neuroscience; there have been many studies conducted all proving its merits and cases documenting its repeated success. It was developed over 30 years ago by Dr. Bricot, an orthopedic surgeon, and has been widely used in Europe. He was concerned that injuries were being treated symptomatically and there was no protocol to find the actual source of the injury or pain. His research into the origin of these injuries created the system now known as Posturology. The goal of Posturology is to permanently remove pain, by treating the cause, which can often be found in poor posture. Many sensitive and interactive sensors are responsible for our posture. For many years it was believed that the inner ears were the main determinate of our position in space, our balance. Recent studies in neuroscience have discovered that the inner ear is only responsible for a small part of our balance and posture. The feet, jaw and muscles of the eyes and the skin play a key role in defining our role in space. When one of these alignments is off, it will create an imbalance that requires other muscles to compensate for what isn’t working, causing imbalance, pressure, strain etc leading to pain. When posture is aligned the source of pain is removed. Posture is a fundamental piece when trying to manage pain caused by range of diseases, such as arthritis, scoliosis, herniated discs, fibromyalgia. If any postural abnormalities or imbalances are detected, adjustments must be made to treat the sensors to correct your posture. Pain can be decreased in an initial one hour session and posture permanently corrected in about 10-12 months. If you would like to speak to our posturologist to see if this is something you might be interested in or if it is right for you, please Contact us, we’d be happy to help.